Gentlemen i apologize for the lack of basic knowledge on this subject as i am more unfamiliar with Hondas than i previously thought. The issue i am having with this car is too much wheel hop at the rear. the tires are 225/45/17 on alloy wheels. pretty good tires that are in almost new condition. when driving through a rough portion of a road at just 50mph there is a lot of wheel hop at the rear, so much so that it puts my reaction and skills to a quick test and makes me feel extremely uneasy at the thought of my wife driving down the highway with or without rain. i know this is not a stock set up. Attached are some pics of the coil over installed at the rear. also what is that screw thing attached to the spring? 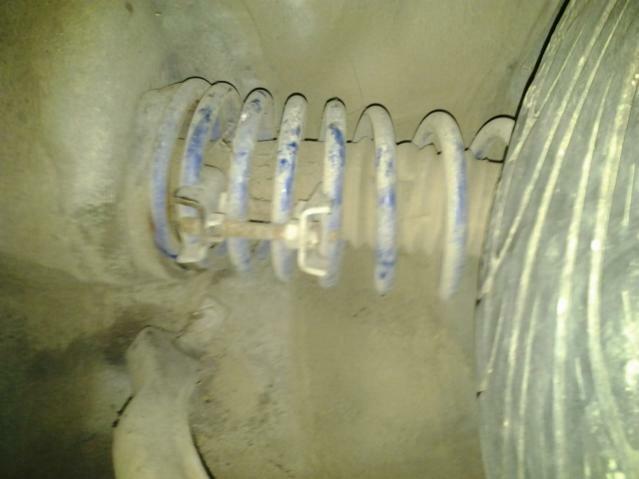 it seems to me to be an adjuster of some sort and in wondering if the springs are to hard at the rear? can i possibly be correct? The car was purchased from a guy who got it from a police auction so i have no way of finding out who had it before and what they were up to. I have no problem controlling the car but its my wifes and she has no skill at driving anything with a hint of loss of traction if you know what i mean. Those are some sort of aftermarket spring adjusters. Me, I'd get a set of new loaded struts and replace the whole assy. While there be sure to check all of the bushings and that (sway bar, ect). Thanks for the info. im going to remove those adjusters and see if my problem gets any better. I'd get new struts and springs cause that looks like some cheap eBay stuff. But that's just me. Well live2rice i think your right on the money on than one. i removed the adjusters and the result was a lower ride height and the top half of the springs being completely squeezed tightly together. the car now drives like it should. the rear tires now follow where the front ones lead and no longer want to go in ways a tire shouldn't. At the moment i can't spare the cash for new parts but some bushings are due for replacements. thanks for the help gents. One more thing.. What can i expect from the top half of the spring being fully compressed and the bottom half looking just fine? is this normal to some extent, or something for which i can expect more wear from? Again, save up the money and get a new set up.....it you are just going for a "nice" ride, there are loaded struts around - they come with springs and the upper mounts. A pretty easy swap out. They are supposed to be that way. Its called a progressive rate spring. Did my research and progressive is what im looking for so I guess i got lucky here. I finally got to travel a long distance through mountains, winding roads, rough roads, and smooth highway driving and the car is the way i want it to be. good coil-overs for under 400? 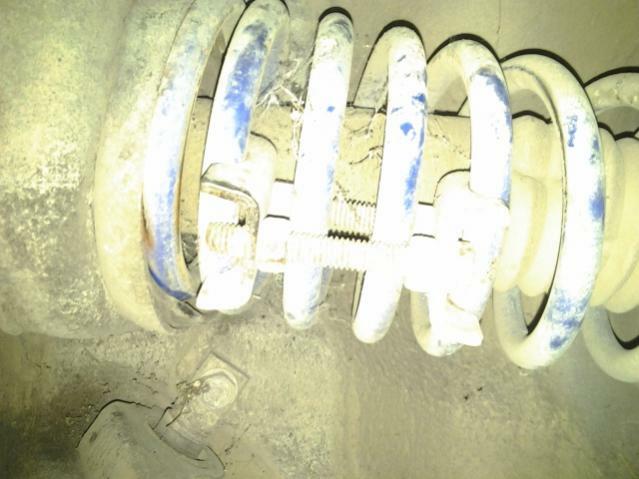 Quick Reply: are coil overs stock on a 95 accord vtec?